بني في 2009, Viwa Island Resort Fiji هو ميزة مُضافة لـ جزر ياساوا و خيار ذكي للمسافرين. يمكن من هنا للضيوف الاستمتاع بسهولة الوصول إلى كل ما تقدمه هذه المدينة النابضة بالحياة. يوفر الفندق بفضل موقعة الجيد وصولاً سهلاً إلى أهم معالم المدينة.
. كما يقدم Viwa Island Resort Fiji الكثير من الخدمات لإغناء رحلتك في جزر ياساوا. يمكن للنزلاء الاستمتاع بالميزات التالية: خدمة التنظيف يوميًا, متجر هدايا/تذكارات, تسجيل وصول/تسجيل خروج خاص, أمن على مدار 24 ساعة, مكتب الاستقبال على مدار الساعة أثناء إقامتهم في هذا المكان الرائع. في Viwa Island Resort Fiji غرف نوم يزيد عددها عن 11 صممت بذوق وعناية لتوفر لك كل وسائل الراحة . بعضها يحتوي أضاً على رف للملابس, مشروب ترحيبي, بياضات, مرآة, مدخل خاص. سواء كنت من محبي الرياضة أو كنت تتطلع لتفريغ عناء نهار صعب، ستجد خدمات ذات مستوى عالي بانتظارك كمثل الغوص السطحي, شاطئ خاص, حمام سباحة خارجي, غوص, صيد السمك. مهما كانت أسبابك لزيارة جزر ياساوا، فإن Viwa Island Resort Fiji هو الخيار الأفضل لإقامة مثيرة وممتعة. يجب على النزلاء الاتصال بالعقار مباشرةً قبيل وصولهم؛ وذلك حتى يتسنى عمل ترتيبات بديلة. A Fabulous experience - the staff are amazing, we are into wildlife and conservation so the trips out to snorkel on the reef were incredible - the best snorkeling I've experienced and I'm well travelled. Snorkelling off the beach is great too with resident Green Turtles and a giant clam coral garden. Beautiful flowers in our room every day - dinner on the beach with flowers and songs. Couldn't fault the experience in any way. Far away from mainland, very quiet and beautiful with passionate staffs. Even though we travelled in rainy season, since the island is far away from the land, our trip was not affected by the weather. The clouds just blow away easily therefore the rain never lasted over 1 hour. Really enjoy and relax ourselves there, and they provided free cruise along the shore where you can see turtles during low tides almost everyday. Amazing views and definitely the first choice to Fiji. Meal plans were good enough for the remote island. Snorkel and diving were quite plain by taking us up to 50m away from the beach. We are travelling a group of four and two of our group are non-English speakers. I am not sure if it is the reason that some of the staff were not very proactive and lack smiling, like trying to not to serve the bread for dinners and always missed some preordered dishes or coconuts during our stay. Unlike other places we were travelling or staying in Fiji, you can’t expect the same ‘Fijian’ customer service style here. Complementary massage were not provided neither. Food could be a bit better for the money and needs better coffee. Needs a new pool table. The outside pool was quitndirty when we got there, they did clean it put it still wasn't really fit to swim in. Very beautiful island. Nice room although a little dated and rough. Beautiful views. Nice snorkeling. Food extremely expensive. Very small portions. Ok taste but bland and unoriginal. No fruit (in a tropical country no less) with your "free breakfast" unless you paid a ridiculous extra price for it - and very little. Having no choice when you are in the middle of nowhere at the whim of a very frugal host is a daunting and unpleasant experience. That alone has eliminated the idea of an "idyllic island retreat". Not a resort feeling. More of a youth camp experience. At Yatule resort, on the main island, we had excellent service, huge breakfast included and fit for a King. After that Viwa was a disaster. We would never go back even if it was free. Unless it was to visit the girls who work there. I absolutely loved every minute of my stay at Viwa. The resort has the whitest sandy beach I’ve seen in the Yasawas and the bures are huge and really comfortable. Most importantly the staff was absolutely amazing, so caring and attentive. We also loved all the great complimentary activities. The entire team at Viwa are amazing. We loved our holiday there and would have loved to have stayed longer. This is the perfect place for you if you really want to get away from it all and have some forced relaxation. We enjoyed the cooking, basket weaving and village tours with Vata, I think we did all his classes! The food was fantastic and my partner had a great time pulling in a giant Waloo fish on the fishing charter which we got to feast on the next few nights. The only downside would be the internet is very slow and only avalible in the bar (but that’s great if you want to switch off) and the bathrooms don’t have aircon so they just need a mirror near a power point in the main room so you can blow dry your hair in air conditioning - but all first world tiny things. 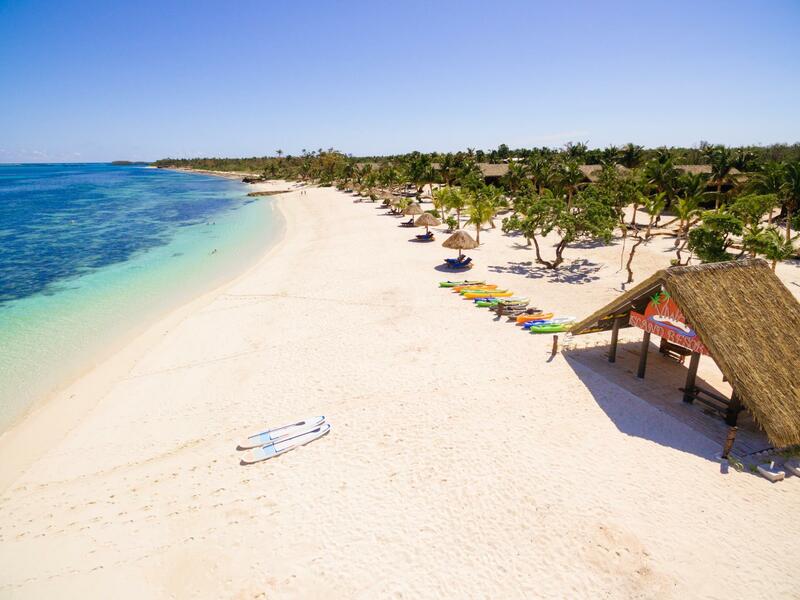 The beach front Bures and private sun lounges on your own little spot on this picture perfect beach make Viwa a place to remember and return too! 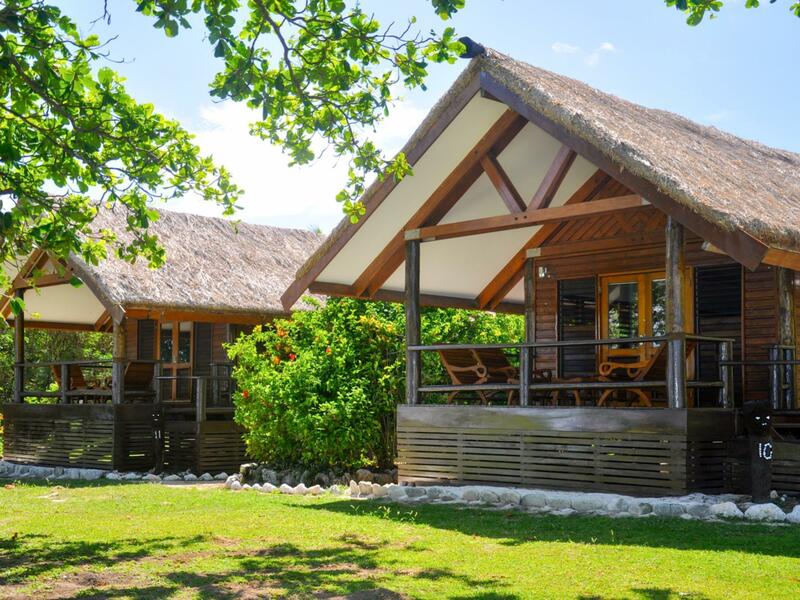 This intimate resort was the perfect retreat with our own sun beds and hammock in front of our beautiful ocean view bure. Because there are only 10 bures, the team is extremely attentive, like calling us by our names and making sure we were taken care of. The activities like basket weaving, cooking demo, and island walks were really fun and educational. Again because it's a small resort we'd have these sessions to ourselves or in small groups. Great diving/snorkeling spots with wonderful visibility. The kayaks were perfect for exploring too. We found taking the seaplane there and Yasawa Flyer back the right balance for transportation. Food is pricey but commensurate to the tourist rates . Definitely bring your own sunscreen. I also really liked resort's involvement in the community, that stood out to me. Would love to go back again, thanks! Loved our stay here but did feel that was a couples resort. Can't fault staff! 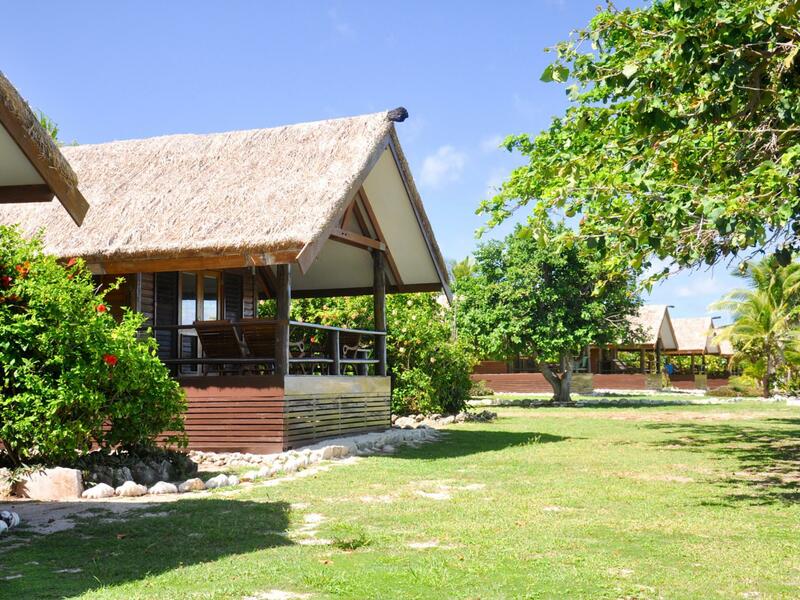 Viwa Island Resort is a little gem. A small resort run by an amazing couple, Roy & Louise, who, along with their staff, made us really feel like part of the family. Nothing was too much trouble. The food was fantastic! The accommodation was perfect! The snorkelling was incredible & right in front of the resort - no need to travel to outer reefs! Just wish we'd booked for a longer stay. There will be a next time! everything is so good and the daily activity is fantastic, you can't miss anyone. The staff are very friendly. However the breachfront bure is quite basic, there is not a lot of activities on the island. The pillow has some smell and the bed linen is not very comfortable.The meal is ok. Exactly what were looking for on our week off work. Beautiful lagoon, with nice snorkelling. Activities available. Beautiful beach. Nice private bures with our own section of beach. The beachfront Bures, the remoteness of the resort and the wonderful staff. Our stay was simply out of this world. The resort has so much to offer. We could just relax on our private porch reading a book or join in on one of the many daily activities. We snorkelled, kayaked, line fished and mostly just relaxed and enjoyed the peace around us, listening to the waves and looking at the stars at night. The staff was amazing. It was great to be able to chat with Roy, Louise and Chong and to get to know them. Others like Vata, Ba, Joe and many of the other employees really made it a true Fijian experience. I would definitely recommend going there, especially if you need to get away from everything. To really top this experience off, I would also suggest taking a sea plane to get there and back to the main island. Viwa, we will be back. We returned from Viwa Island just week ago and already planning our next visit. After reading all of the fantastic reviews we finally decided to book Viwa for our vacation. From the moment we arrived we felt welcome like old friends. All of the reviews we read talked about how Roy, Louise and the rest of staff made them felt like family but I assumed those were just exceptional experiences. Not the case at all! Everyone was so genuinely friendly and Roy and Louise were so warm and welcoming. We kept commenting throughout our stay that it was as if we were invited to their home and were just having dinner and drinks in their living room. The food was incredible. The fish was caught fresh by the local village and the menu changed according to their catch. We couldn’t wait to see what was on the menu for the day. One night we were there was my birthday and the chef made the most special and delicious chocolate cake and it was brought out with the whole staff singing. They went above and beyond to make it the most memorable day. The diving has to be the best in the world. Roy was so patient with us as we were still beginners and he made us feel comfortable and safe on every trip. It was such a treat to dive on coral that no one has ever dived before. Most trips it was just us and Roy which was such a great experience. Huge coral and impressive amounts of fish are just 20 minutes away from the resort by boat. If you enjoy diving than I can’t imagine a better experience! The rooms, the beach, the staff… I could go on and on about how fantastic they all were. This was far better than anything we could have imagined for our trip. Truly every expectation we had was blown away. It was an incredible trip and one we will have a hard time beating anywhere else we go as we will always compare any other holiday to our time at Viwa. The location, the accommodation, the staff and the food! This is a wonderful, peaceful island resort. It's the best all round island experience we've had the pleasure to enjoy. The food, in particular, was most appreciated as were the friendly staff, the spacious accommodation and the wide variety of activities available. We particularly enjoyed the snorkeling, diving and the visit to the local village to watch rugby and netball.